Great-looking frame, sweet handling, doesn’t turn its back on 26in wheels. BOS suspension requires reading the manual. Expect some play from the fork bushings out of the box, wide stays equal heel scuffs, coil shock means faffing around with spring rates. 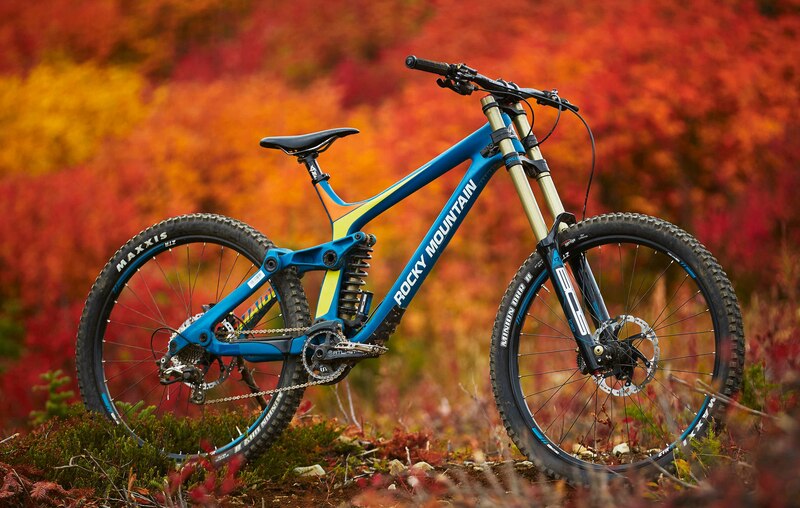 We spied a prototype of Rocky Mountain’s, then nameless, replacement for the Flatline downhill bike more than three years ago. And that version was already 12 months into development. 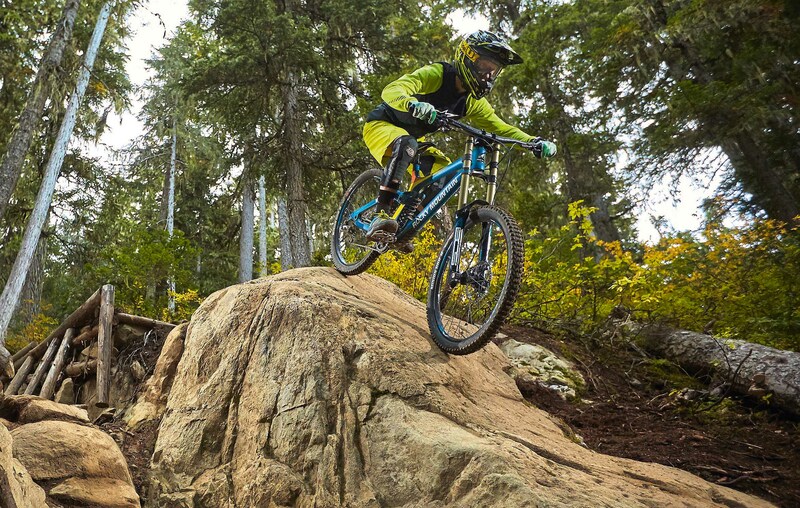 So what has taken Rocky Mountain so long with this new Maiden? Well, the wheel size — dare I say it — ‘revolution’ put a stick in the spokes and forced the Maiden back to the drawing board. 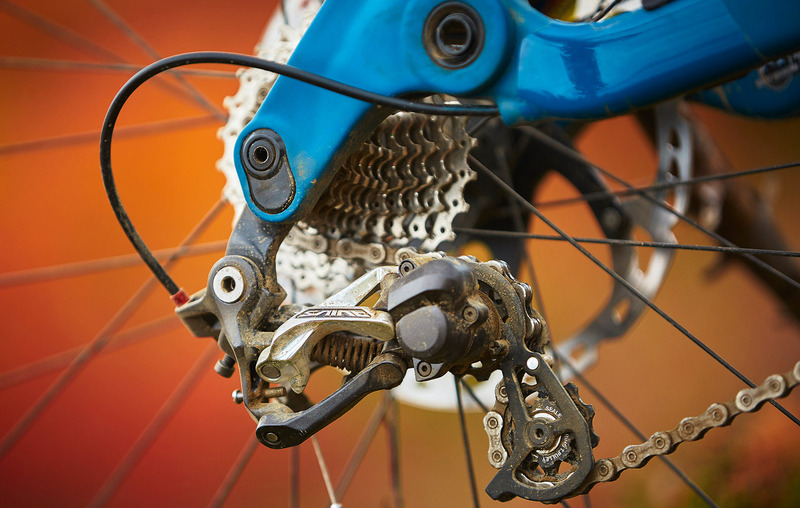 Then Rocky Mountain realised that the lightweight bushings it uses on its other full-suspension bikes would generate too much friction with the huge Maiden pivots, so switched to a more conventional ball bearing system. Better to get it right first time, though, and — looking at the finished article — giving it that time to marinade has really been worthwhile. Bristling with clever design details, the Maiden gets a version of Rocky Mountain’s attitude adjustment chip — Ride 9 — offering (confusingly) four different geometry settings. Internal cable routing makes an appearance, stealthily hiding cables and hoses behind wide-mouth access ports. There are bespoke integrated frame protectors, a mudguard for the shock and even internal storage for a Shimano Di2 battery. One feature that really stands out is the Maiden’s willingness to embrace either 26in or 27.5in wheels. Two axle positions at the rear dropouts, and a chunky spacer that presses in below the head tube, allow you to run smaller wheels without compromising the geometry. 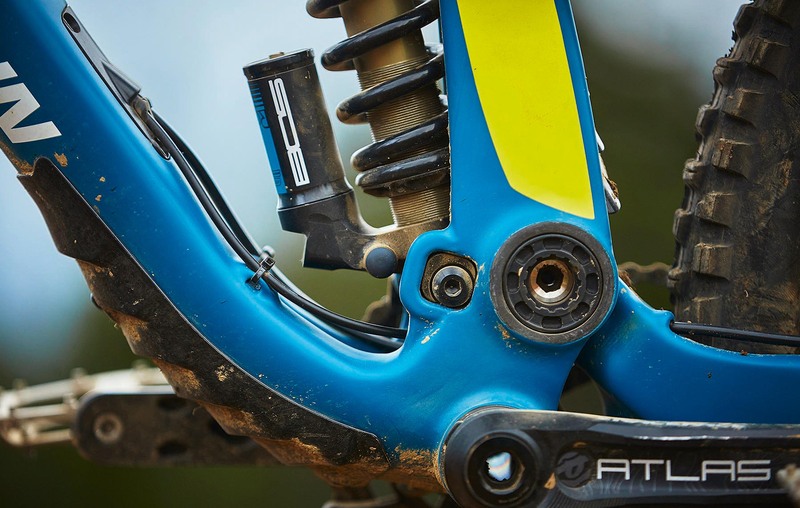 It’s definitely a worthy decision on Rocky Mountain’s part, and it will make the Maiden frame an attractive proposition if you’ve got a shed full of 26in downhill parts. The full carbon frame — that’s front triangle, seatstay, chainstay and rocker link — is as sleek and sculptural inside as out, thanks to high-end Smoothwall construction that uses EPS moulds instead of inflatable bags. And at just under 15.9kg (35lb) for a complete bike in size large, the weight saving brought by the carbon is both obvious and appreciated. UK distributor, Greenover, sells the Maiden frameset, as well as four complete builds running from £3,500 to a whopping £9,500! 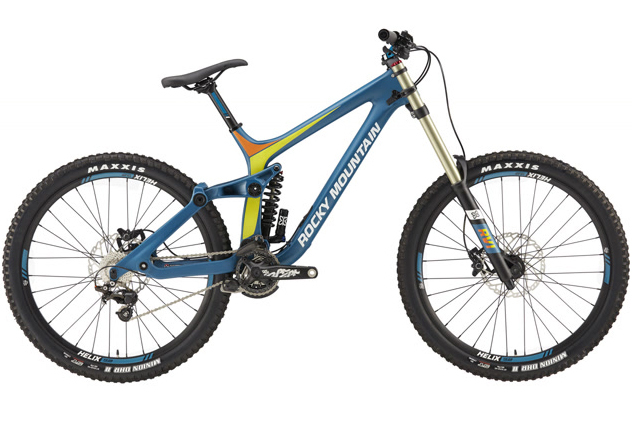 We rode it in World Cup trim, specced with BOS suspension, along with a mix of Shimano Saint and Race Face Atlas components. With no markings on either the Idylle Air fork or Stoy Rare shock, and damping that prefers to be set up with a pit-crew rather than in the lift queue, it took a while for me to get dialled on the Maiden. Once I’d found some base settings online, the bike came alive. the bike up through corners. The Maiden may have taken a while to emerge from the womb, but on first impressions, Rocky Mountain has pulled off an immaculate conception.